Life's Sweet Journey: My Trader Joe's Top 5 Finds! My Trader Joe's Top 5 Finds! I finally made it to Trader Joe's!! One recently opened (and by that I mean a few months ago) in Winter Park and I have been dreading the crowds and the parking that I had heard were horrendous. However, a friends birthday led to a visit to Shake Shack (also a 'never-been-to-before' and yummy destination), which then led to an impromptu trip inside Trader Joe's. I also found parking right away (apparently Thursday at 11:30 is prime time for parking finds). I must admit I found Trader Joe's slightly intimidating. I had no clue where to start, but luckily I had a trusty Trader Joe's veteran who helped show me the ropes. She would mention something good, I would throw it in the cart. 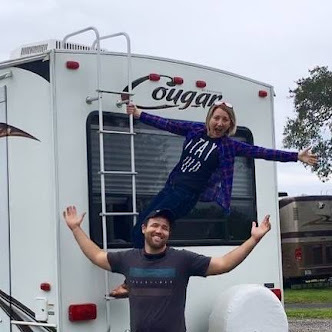 The only issue was, I was heading to work... but don't fear, I stocked those fridges up with my home groceries and they sat nice and cozy until I could to leave for the night. 1.) Trader Joe's Goat Cheese with Honey!! While I would have loved a more blogpropriate picture, I did not even think to get my camera out because this cheese-from-heaven was gone that quickly! The girl I was with said they had great cheese and my first thought was "I can't get cheese, I can't refrigerate it". Then I read 'cheese and honey', two of my favorite things already together in one one glorious package and the game was over. This little thing of cheese changed the whole trip from, "I will just grab a few staple, cabinet items" too, "load the cart, buy the whole store, work fridges here I come"!! 2.) 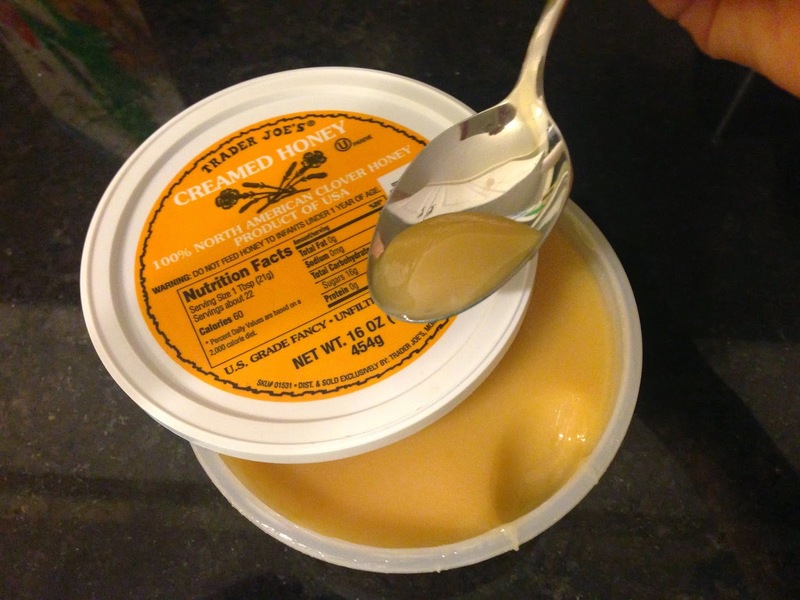 Trader Joe's Creamed Honey!! This should probably have been number 1, but I still have dreams about that cheese. The honey is still very happily sitting in the cabinet where I can partake whenever needed, therefore leaving the dancing buckets of honey out of my nighttime sleep sequence. I have been wanting to make creamed honey for a while (or attempt to anyways) so when I saw this little golden goodness just sitting there for the taking I didn't have to think twice. Honey speaks to my soul and someday I will have my very own bees, but for now, this shall suffice. I used it the other night when cooking chicken (recipe below). Some went into the skillet, mostly though I just ate it straight off the spoon. 3.) 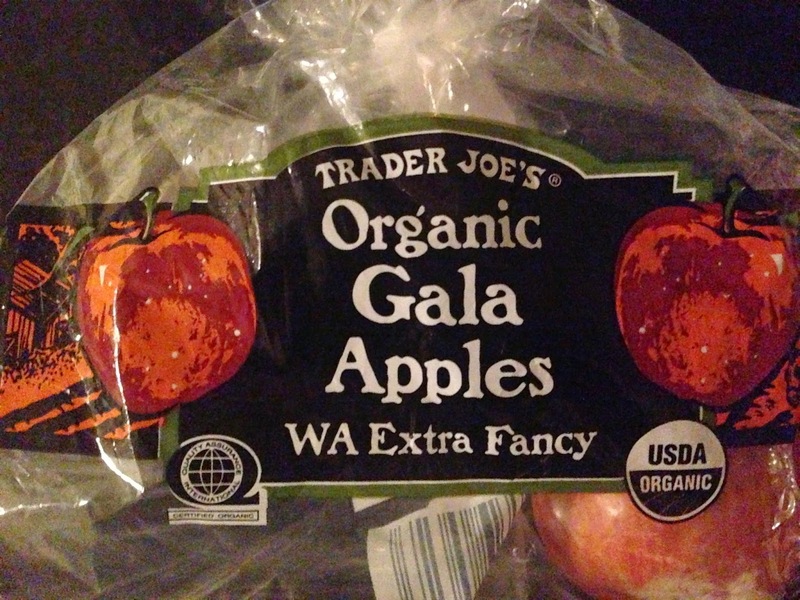 Trader Joe's Organic Apples!! One of the very best things about Trader Joe's is that everything is priced as each, not by the pound. I don't have to fill a bag full of fruit, walk it to a scale and add or remove items depending on how much I want to pay. So, there I was reaching to grab an apple or two when I saw a whole bag of apples... organic apples... for less than 4 dollars!! Why is the bag not full of apples you ask? Brought them home and they were gone in a day (there are only two of us in the house). I have heard about this, I think we have all heard about this. The cookie butter, the Trader Joe's wonder, that of course had to go in my cart. I must admit that I was not at first sold on this. In my mind I had imagined a chocolate chip cookie doughish tasting peanut butter. This has more of a snicker-doodle, cinnamon taste to it but the more I ate it the more I loved it. Yum!! These I also had to warm up to. I grabbed them thinking they could be neat to try. 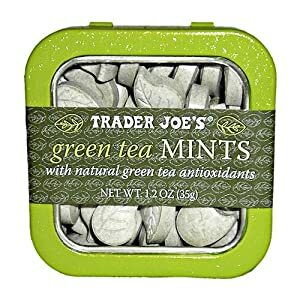 I love green tea, so I thought I might enjoy them. At first I found them a little odd, but I think it was mainly thinking of it as a mint that threw me off. However, after the first one I found myself wanting another- and then another. Now I eat at least two each day. I keep them in my car and always eat one on my way to work and then usually again on the way home. They are refreshing and come with antioxidants included! My Trader Joe's Inspired Recipe! I haven't cooked in about 2 years, give or take! This may be a slight exaggeration, but only slight. I never have time to cook anymore. I enjoy it though. I enjoy trying new things. My newest fad has been to try anything and everything I can get honey into. Well, I used my new found "happies" as a reason to turn on the stove and here is the result. Super easy and so very good!! 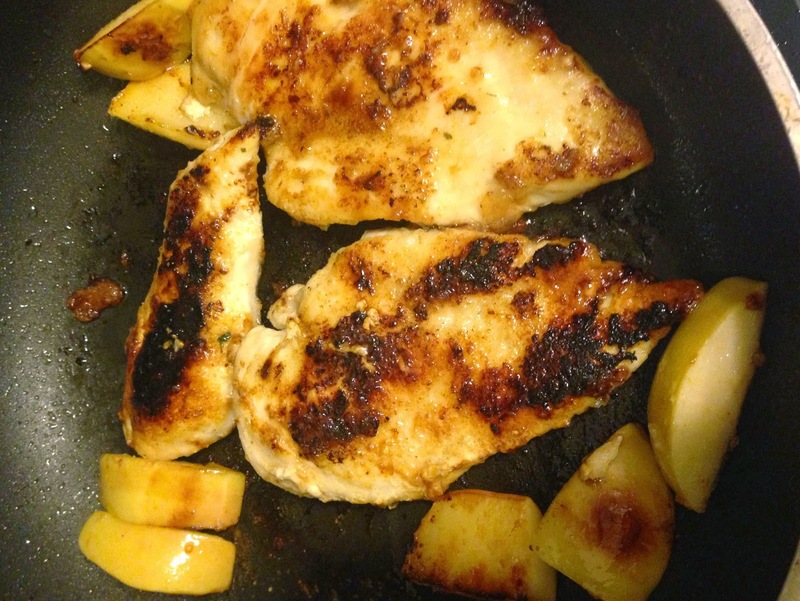 Place coconut oil, spoonful of creamed honey and apples in skillet and allow to heat over medium-high. While heating wash chicken and smother in honey and seasonings of your choice. I used garlic salt, season all and onion powder. Then I spooned on the honey and added more seasoning. Dredge chicken lightly through flour and add to pan. Cook for about 10-12 minutes, turning once, until chicken is cooked through. Enjoy!! *I am not typically a measurement sort of person, unless I am baking I throw a little of whatever I want in, whichever way I want. I love honey so there was a lot of that and garlic. 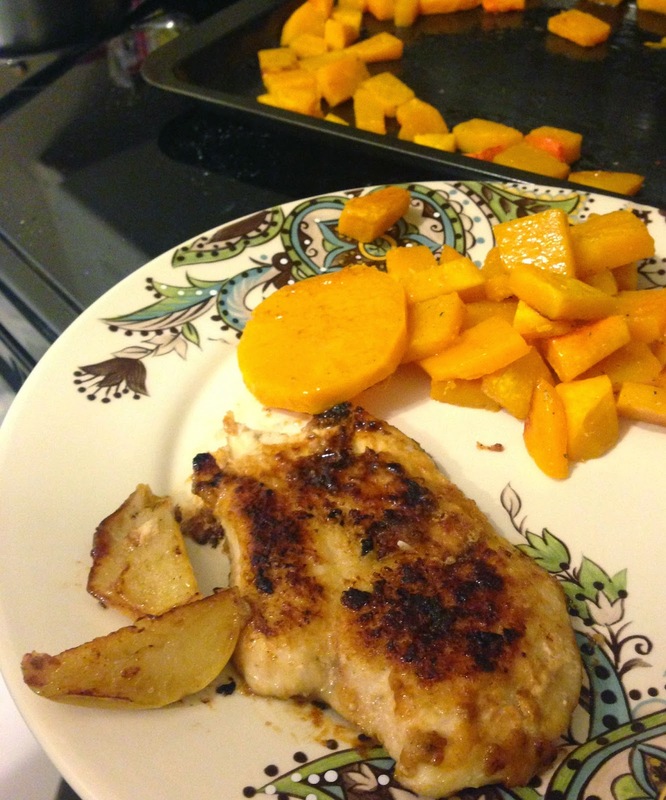 I accompanied the chicken with some wonderful butternut squash, also purchased from Trader Joe's. Peeled and cut the squash, placed flat on a pan covered in olive oil. Spread more olive oil across the squash and sprinkled with garlic salt and a bit of cinnamon. Baked at 400 degrees for 25- 30 minutes. Take out squash and flip halfway through, sprinkle a dash more garlic salt and place back in oven for the remainder of the time. 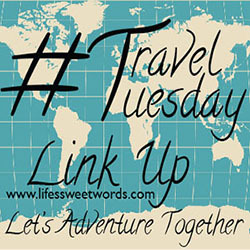 I know it may be Monday, but I am linking up with the gals of 5 on Friday [darci, april, christina + natasha]!! Nothing like a little Friday fun on a Monday! I had full intentions of having this posted before the weekend, but ya' know... life! 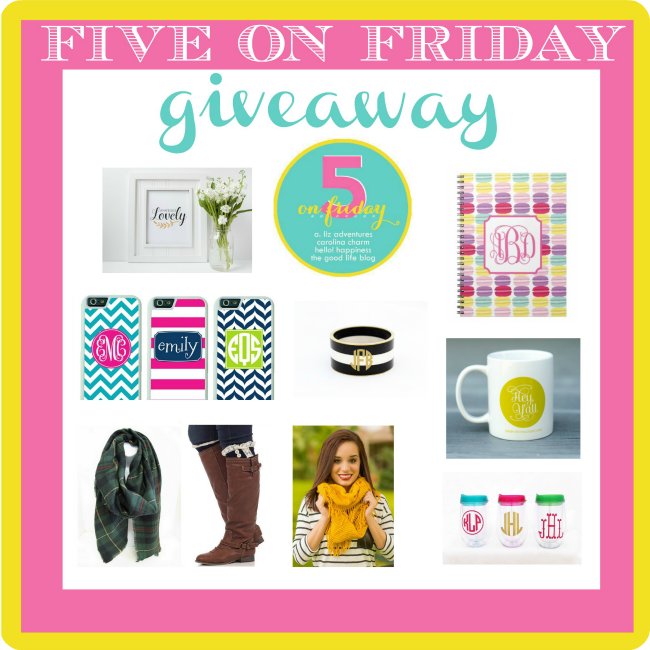 They are doing an awesome giveaway to kick off the 5 on Friday being back in the swing of things, so hop on over and check them out! Love Trader Joes!! We love the items you mentioned (especially the honey!!!) and also the Raisin Rosemary Crisps. Yum! Also excited to hear of your love of bees!! You're a lady after my own heart ;). Sadly, I was distraught last week when we discovered our hives are empty. They were thriving and happy one day, gone the next. Devastated. However, happy to explore your blog more!